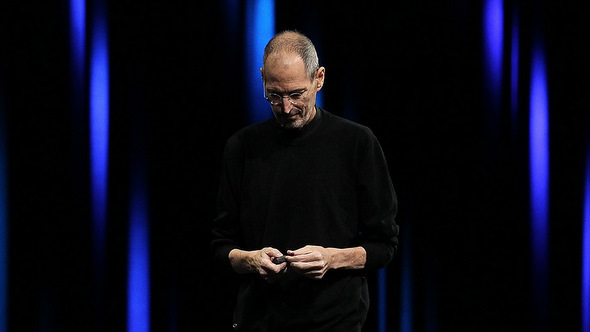 NOBODY else in the computer industry, or any other industry for that matter, could put on a show like Steve Jobs. His product launches, at which he would stand alone on a black stage and conjure up a “magical” or “incredible” new electronic gadget in front of an awed crowd, were the performances of a master showman. All computers do is fetch and shuffle numbers, he once explained, but do it fast enough and “the results appear to be magic”. He spent his life packaging that magic into elegantly designed, easy to use products. He had been among the first, back in the 1970s, to see the potential that lay in the idea of selling computers to ordinary people. In those days of green-on-black displays, when floppy discs were still floppy, the notion that computers might soon become ubiquitous seemed fanciful. But Mr Jobs was one of a handful of pioneers who saw what was coming. Crucially, he also had an unusual knack for looking at computers from the outside, as a user, not just from the inside, as an engineer—something he attributed to the experiences of his wayward youth. Mr Jobs caught the computing bug while growing up in Silicon Valley. As a teenager in the late 1960s he cold-called his idol, Bill Hewlett, and talked his way into a summer job at Hewlett-Packard. But it was only after dropping out of college, travelling to India, becoming a Buddhist and experimenting with psychedelic drugs that Mr Jobs returned to California to co-found Apple, in his parents’ garage, on April Fools’ Day 1976. “A lot of people in our industry haven’t had very diverse experiences,” he once said. “So they don’t have enough dots to connect, and they end up with very linear solutions.” Bill Gates, he suggested, would be “a broader guy if he had dropped acid once or gone off to an ashram when he was younger”. Dropping out of his college course and attending calligraphy classes instead had, for example, given Mr Jobs an apparently useless love of typography. But support for a variety of fonts was to prove a key feature of the Macintosh, the pioneering mouse-driven, graphical computer that Apple launched in 1984. With its windows, icons and menus, it was sold as “the computer for the rest of us”. Having made a fortune from Apple’s initial success, Mr Jobs expected to sell “zillions” of his new machines. But the Mac was not the mass-market success Mr Jobs had hoped for, and he was ousted from Apple by its board. Yet this apparently disastrous turn of events turned out to be a blessing: “the best thing that could have ever happened to me”, Mr Jobs later called it. He co-founded a new firm, Pixar, which specialised in computer graphics, and NeXT, another computer-maker. His remarkable second act began in 1996 when Apple, having lost its way, acquired NeXT, and Mr Jobs returned to put its technology at the heart of a new range of Apple products. And the rest is history: Apple launched the iMac, the iPod, the iPhone and the iPad, and (briefly) became the world’s most valuable listed company. “I’m pretty sure none of this would have happened if I hadn’t been fired from Apple,” Mr Jobs said in 2005. When his failing health forced him to step down as Apple’s boss in August, he was hailed as the greatest chief executive in history. Oh, and Pixar, his side project, produced a string of hugely successful animated movies. In retrospect, Mr Jobs was a man ahead of his time during his first stint at Apple. Computing’s early years were dominated by technical types. But his emphasis on design and ease of use gave him the edge later on. Elegance, simplicity and an understanding of other fields came to matter in a world in which computers are fashion items, carried by everyone, that can do almost anything. “Technology alone is not enough,” said Mr Jobs at the end of his speech introducing the iPad 2, in March 2011. “It’s technology married with liberal arts, married with humanities, that yields the results that make our hearts sing.” It was an unusual statement for the head of a technology firm, but it was vintage Steve Jobs. His interdisciplinary approach was backed up by an obsessive attention to detail. A carpenter making a fine chest of drawers will not use plywood on the back, even though nobody will see it, he said, and he applied the same approach to his products. “For you to sleep well at night, the aesthetic, the quality, has to be carried all the way through.” He insisted that the first Macintosh should have no internal cooling fan, so that it would be silent—putting user needs above engineering convenience. He called an engineer at Google one weekend with an urgent request: the colour of one letter of Google's on-screen logo on the iPhone was not quite the right shade of yellow. He often wrote or rewrote the text of Apple’s advertisements himself. His on-stage persona as a Zen-like mystic notwithstanding, Mr Jobs was an autocratic manager with a fierce temper. But his egomania was largely justified. He eschewed market researchers and focus groups, preferring to trust his own instincts when evaluating potential new products. “A lot of times, people don’t know what they want until you show it to them,” he said. His judgment proved uncannily accurate: by the end of his career the hits far outweighed the misses. Mr Jobs was said by an engineer in the early years of Apple to emit a “reality distortion field”, such were his powers of persuasion. But in the end he changed reality, channelling the magic of computing into products that reshaped music, telecoms and media. The man who said in his youth that he wanted to “put a ding in the universe” did just that. Corrections: The quotation about "technology married with the liberal arts" came from the speech introducing the iPad 2 in March 2011, not the original iPad in January 2010, as this post originally stated. And the engineer Steve Jobs called one weekend to correct the colour of a logo worked at Google, not Apple, as originally stated. (It was Vic Gundotra: read his account of the incident.) This was in 2008, when Apple and Google were still allies rather than rivals.